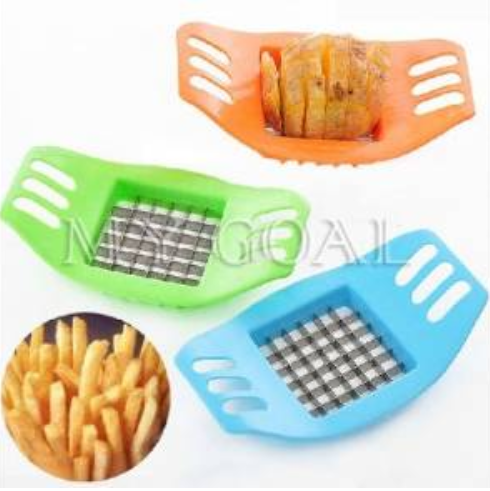 Stainless Steel French Fry Slicer Only $4.58 PLUS FREE Shipping! You are here: Home / Great Deals / Amazon Deals / Stainless Steel French Fry Slicer Only $4.58 PLUS FREE Shipping! If you like restaurant style hand cut french fries, this Stainless Steel French Fry Slicer is Only $4.58 PLUS FREE Shipping! What a perfect tool to get right now with hamburger grilling season upon us! Get yours NOW!